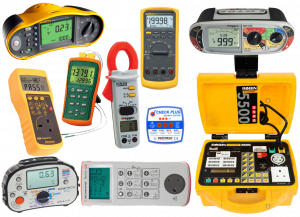 Total Re-Cal can calibrate a wide range of electronic instruments and provide certificates traceable to National Standards. Which products can be calibrated? If you are unsure whether or not we can calibrate your instrument – just ask! The range of products we can calibrate is constantly expanding. Which brands can be calibrated? All manufactures can be calibrated. Fluke, Megger, Seaward, Metrel, Martindale, Kewtech, Amprobe, Robin, Di-Log, Socket&see, and many more. How do I get my equipment calibrated? You can drop off or post your items to us, or arrange to have them picked up. Simply get in touch using the contact details below or go to Pick-up/Drop-off information for more details. How much does a calibration cost?